Looking for Honky Toast. Is it in the Side Projects section? I need a map, I can't find it there. Search feature won't work for me. This was actually really relaxing to watch. Wonder what this is called.... I'll call it Open the Door Richard until I find out. Thanks for bothering to put the Guitar Parts clip in here Soulmonster. It's delicious. Made sense when Richard called is finger style "banjo parts" because I was already thinking claw hammer. 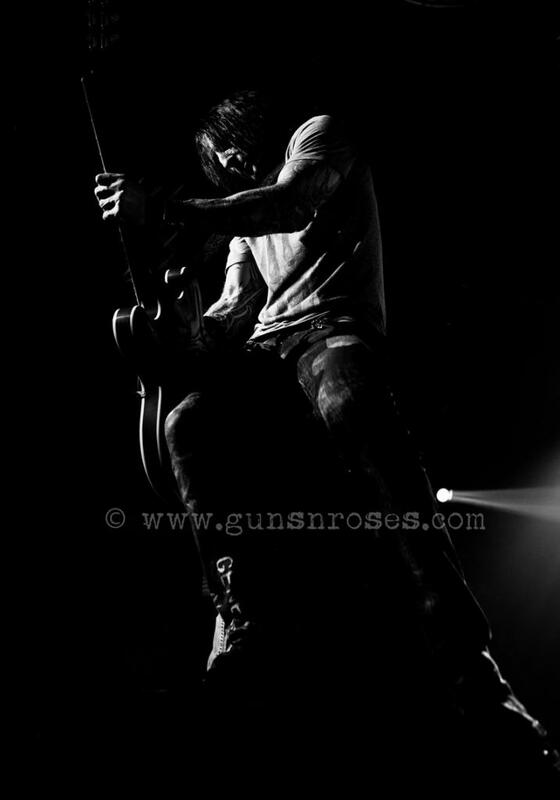 The bits on his instrumental song he's currently playing with GNR was good to see but he still didn't name the piece. Maybe it doesn't have an official name - keeps it organic anyway. Only $ 5.000 a month, maybe I should rent it for weekend trips to NYC? Guns N' Roses lead guitarist is on the lookout for tenants who will occupy his 417 Grand St. co-op unit at Seward Park in the Lower East Side, Manhattan. 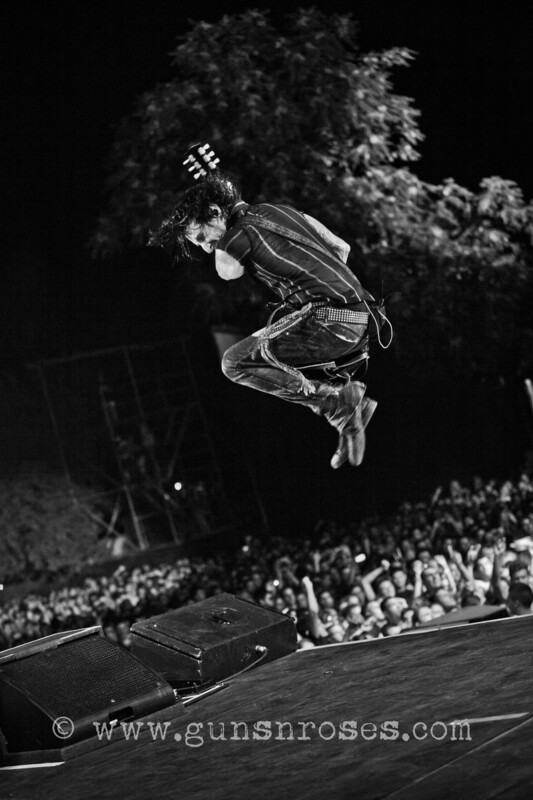 Thirty-year-old Richard Fortus is asking $5,000 a month for the apartment. The spread has two bedrooms and a bathroom, and it features lots of windows that provide the pad generous natural lighting and offer residents open views to scenes of the Lower East Side landscape, the New York Post reports. It also comes with a 5x13 private terrace and a high-end kitchen installed with pricey Viking, Wolf, Sub-Zero and Bosch appliances. The bathroom has a spa-like design and is highlighted by a soaking tub. Great idea to have the article with a pic of Dj and Axl, btw. (ok, it says so beneath the pic, but why not a pic w/ Richard?). 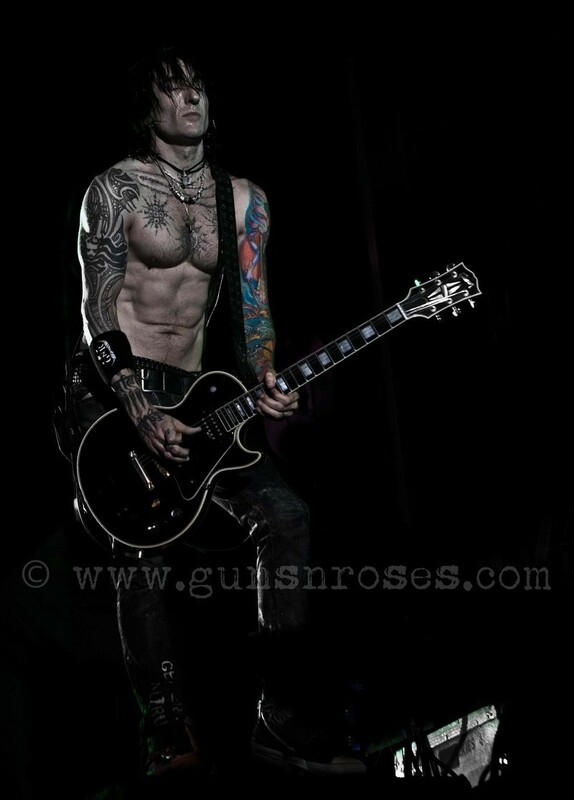 And Fortus is 30 years old?? 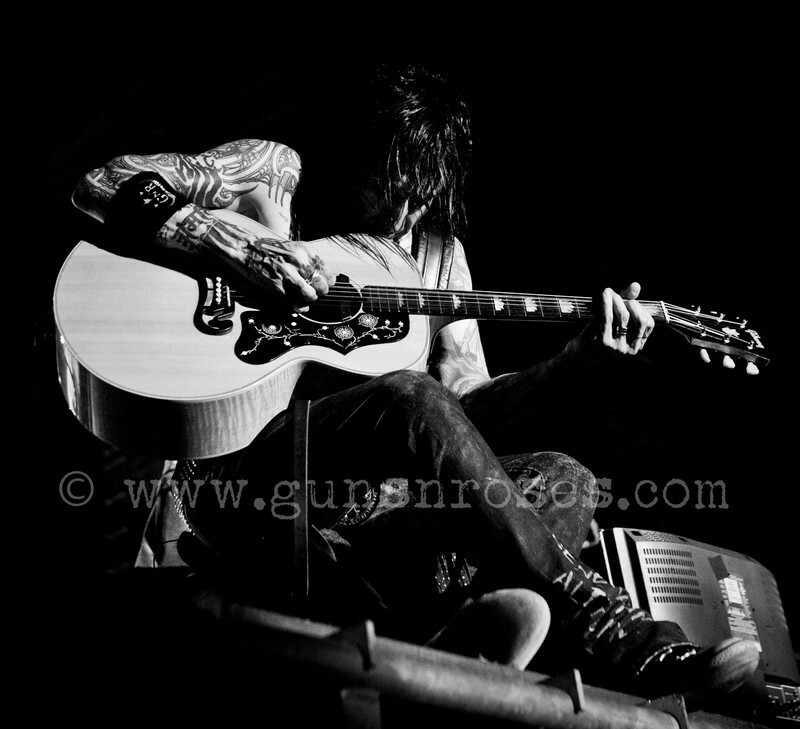 Guns N’ Roses fans are thrilled that Slash and Duff McKagan are ready for a reunion with Axl Rose, but they’re not the only guys in the group’s current version of the band — and with that in mind, here’s a look at some highlights from the career of guitarist Richard Fortus. 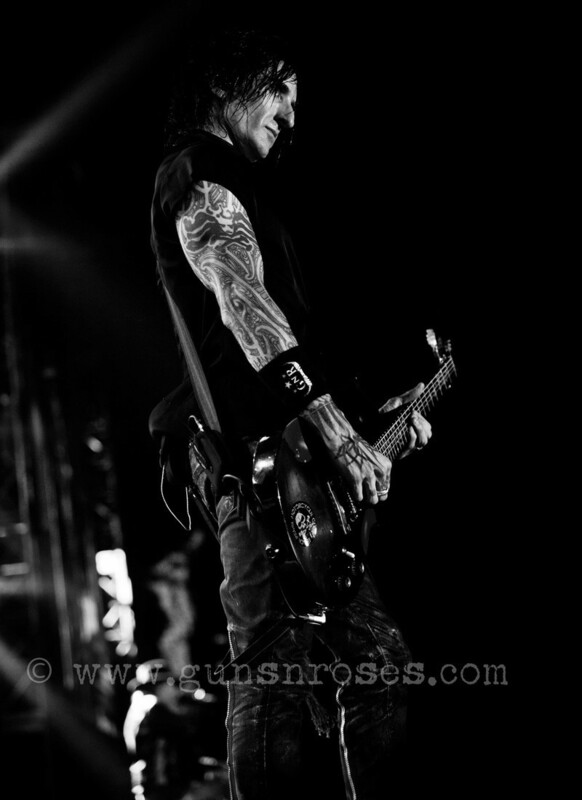 A linchpin of the GNR lineup for 15 years, Fortus has managed to add some much-needed stability to a group that’s seen no shortage of turnover since the early ’90s, and his lengthy list of diverse credits adds further evidence that he’s the type of player — and personality — who can thrive whether he’s touring clubs or spending years tracking one of the decade’s most highly anticipated hard rock records. Fortus got his first taste of the former as a young musician starting out with his band the Eyes, who changed their name to Pale Divine after scoring a deal with Atlantic for their first (and last) album, Straight to Goodbye, in 1991. Pale Divine split up not long after touring in support of the Psychedelic Furs, but — in an early sign of Fortus’ easy compatibility with others — he soon started a new group, Love Spit Love, with former Furs frontman Richard Butler. Love Spit Love never reached the same commercial heights as the Psychedelic Furs, but the group remained a going concern for the remainder of the decade, and when Butler reunited with his former bandmates in 2000, Fortus was added to the new lineup as a second guitarist, sticking around long enough to appear on the concert recording Beautiful Chaos: Greatest Hits Live. 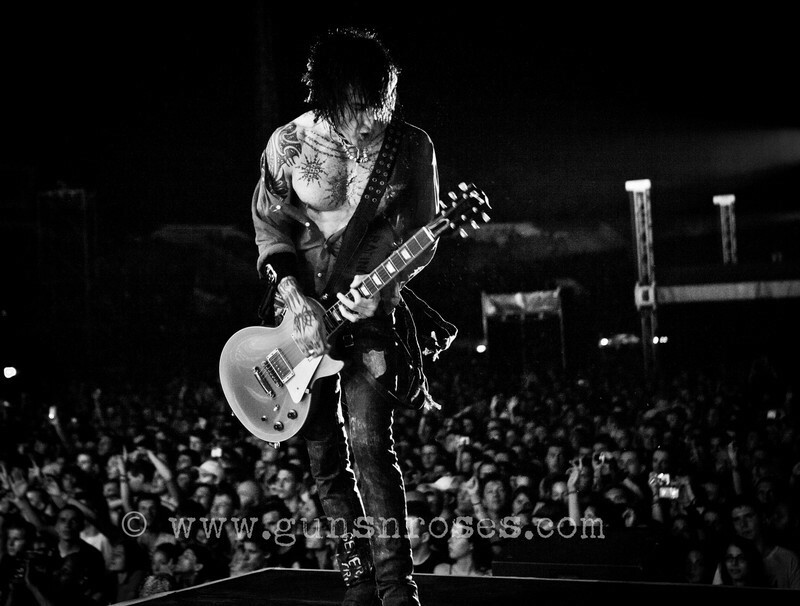 Since joining GNR in 2001, Fortus has stayed busy with outside projects, some of which might come as a surprise to fans chiefly familiar with his hard rock résumé. He’s been an in-demand collaborator for a number of European artists, including the German pop singer Nena, who enlisted Fortus for a 2005 tour, as well as the Danish band the Storm and the Norwegian Sámi artist Lásse Kvernmo. He also performed with the Japanese metal band Japan X, serving as one of several guest guitarists during a series of 2008 reunion shows, and was briefly a member of a latter-day Thin Lizzy lineup. 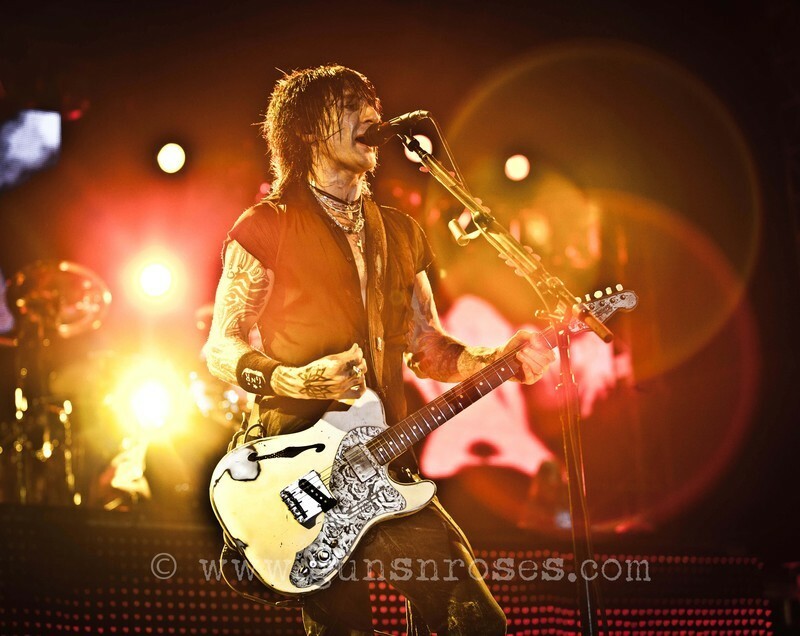 Fortus’ best-known side band, however, is Dead Daisies, the all-star rock collective whose ranks have boasted a number of GNR alumni as well as current and former associates of INXS, Whitesnake and the Rolling Stones. The group’s most recent effort, 2015’s Revolución, includes ex-Mötley Crüe singer John Corabi in the lineup — and one of the Daisies’ earliest singles, the 2013 release “Lock N Load,” featured none other than Slash. Anyone know which Dead Daisy's song is played in the background of that video? 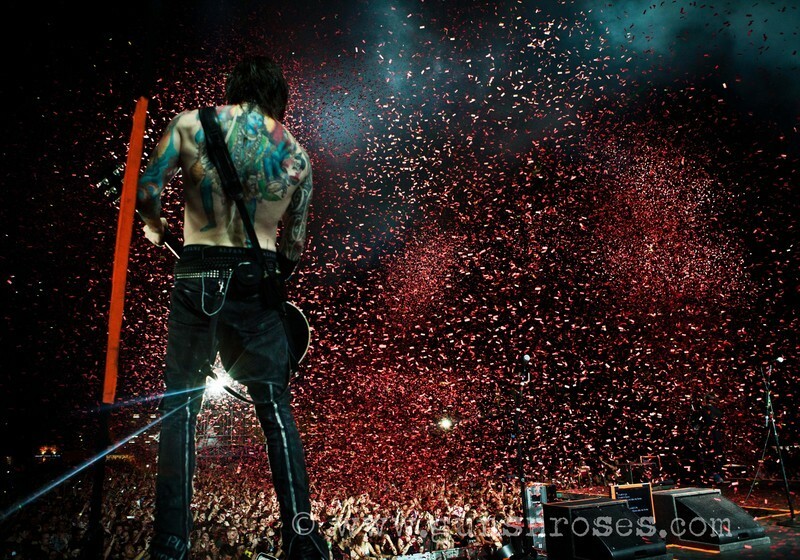 "I've been playing with GUNS N' ROSES for, like, what, fifteen years now, and it's been an incredible experience. And the work ethic that these guys have is amazing. And I think I've rehearsed more in this last year with that band than I have in the previous fourteen years put together. It's been really intense and very focused and a great learning experience as well as a great honor to play with those guys."